The Governors (12-0) are off to their best start in program history, led by improved doubles play and a ferocious singles attack. The Govs played only one match last week, sweeping North Alabama in a make-up match. Tatiana Lopez and Honoka Nakanishi moved up to No. 1 doubles recently and have not missed a beat, winning their eighth straight match against the Lions. In singles, the Govs are led once again by the Yanes Garcia sisters. Claudia Yanes Garcia is still undefeated in singles this season and Lidia Yanes Garcia, the all-time leader in singles wins in APSU history, has an 11-1 singles record as well. The sisters have combined to form a formidable duo in doubles as well, with a 5-4 record this spring and winning their last two matches. The Tigers (5-5) have generally struggled in OVC play recently, but are off to a decent start this season. They narrowly fell to IUPUI and Western Kentucky at home, with the Govs shutting out both teams earlier this season. However, four of the five wins for the Tigers have come against Mississippi Valley State. Last season the Govs earned a 5-2 win over the Tigers, with the match being played at home as well. Claudia Yanes Garcia made her first appearance since being injured, playing doubles left-handed. 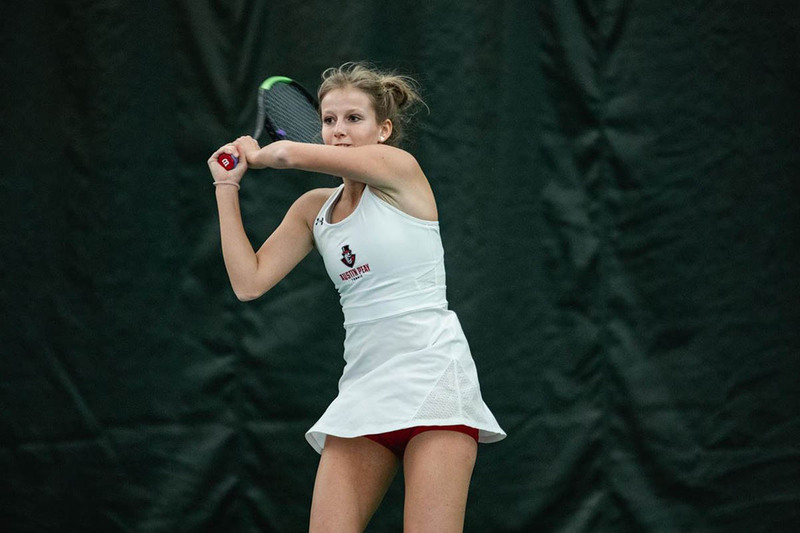 The Govs did win the doubles point and won the first four singles matches to claim the match. Claudia did not play singles that day, as the Tigers got a default win at No. 6 singles and won No. 5 singles in straight sets. Make sure to follow @AustinPeayWTN on Twitter to keep up with all the latest news and updates.